When my husband and I were still engaged, I put together a little book of all the things I loved about him instead of giving him a card. I loved seeing his face as he flipped through the pages, either smiling and laughing out loud at the bizarre things I managed to put in there. And because it was such a special thing for us, I decided to share with you how to make one yourself. 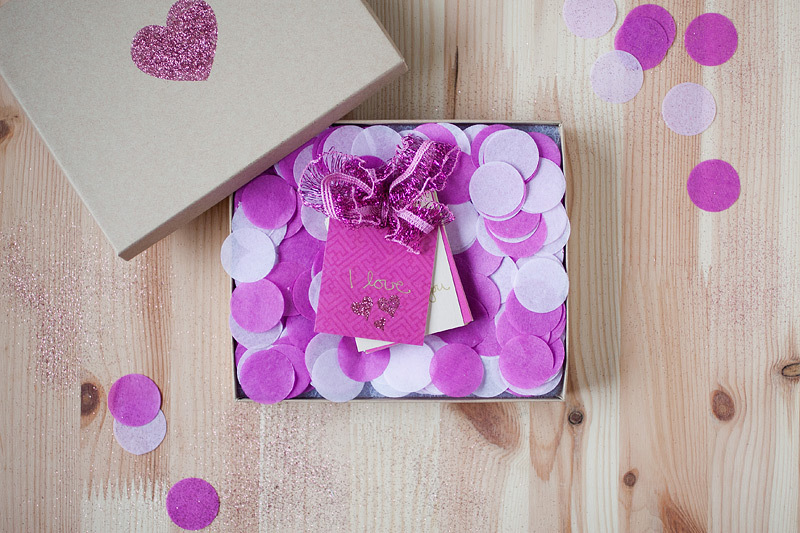 1 Cut out little pieces of paper sized at 2½” x 2″, hole punch them, pull a pretty ribbon through and tie a bow. 2 On the front page, write “I love…” to begin the adventure. 3 Write out all the things that you love about your sweetheart. 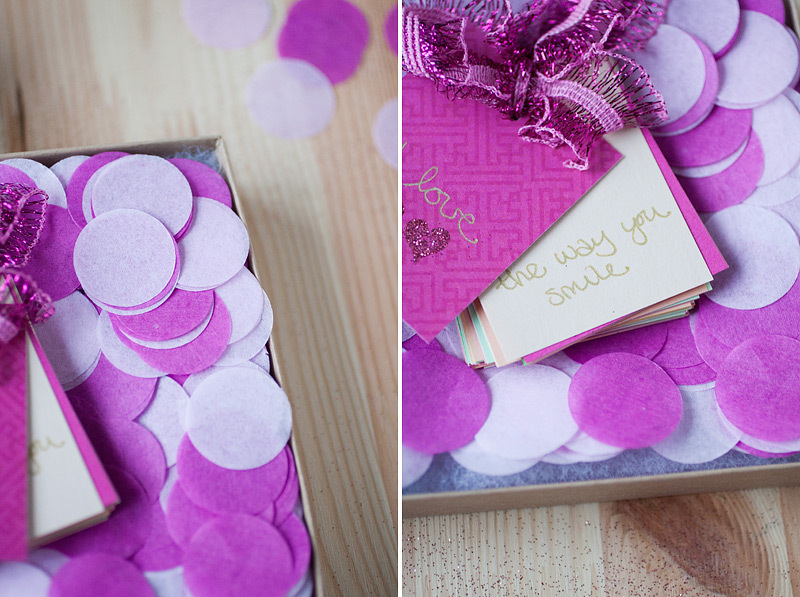 4 Fill a kraft box will tissue paper confetti and place the book inside. 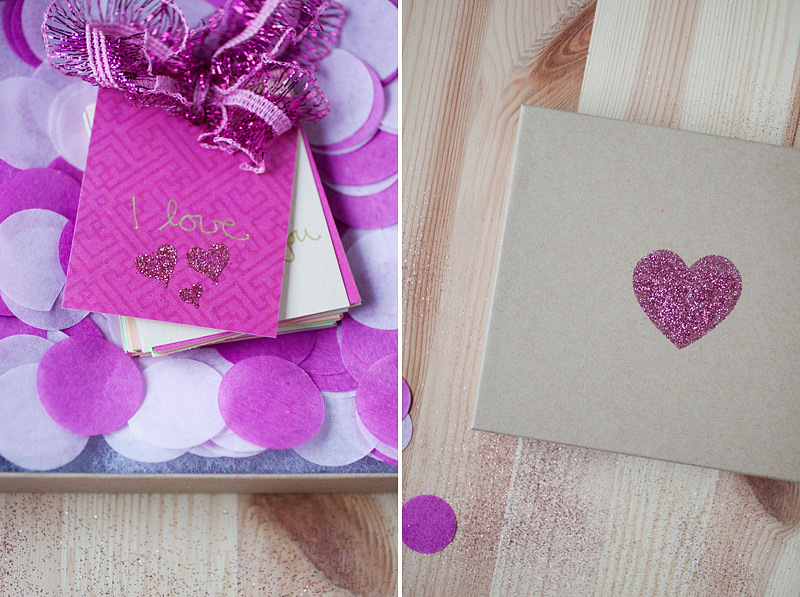 5 Stamp a huge heart on the lid of the box, add some glitter, and voila! 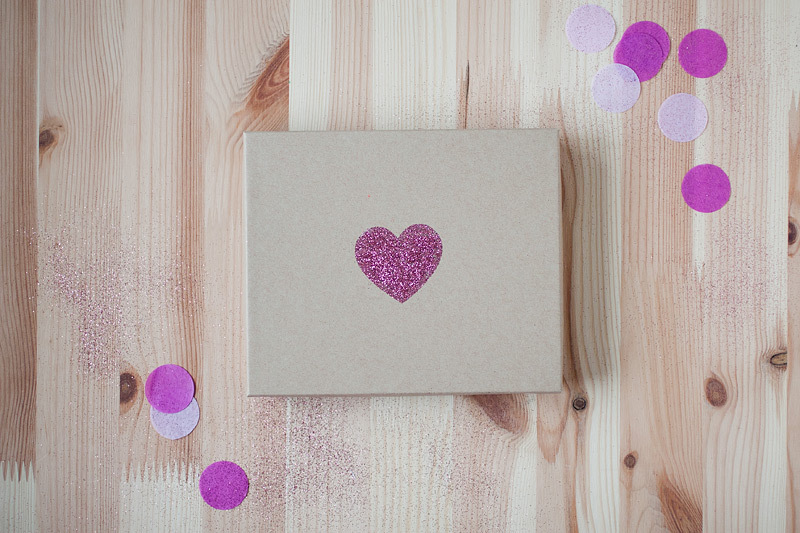 Especially when there are so many things you love about your sweetheart … I just have to find a box that is big enough to put all I love in him ?